Calling all graduates or moving up students! 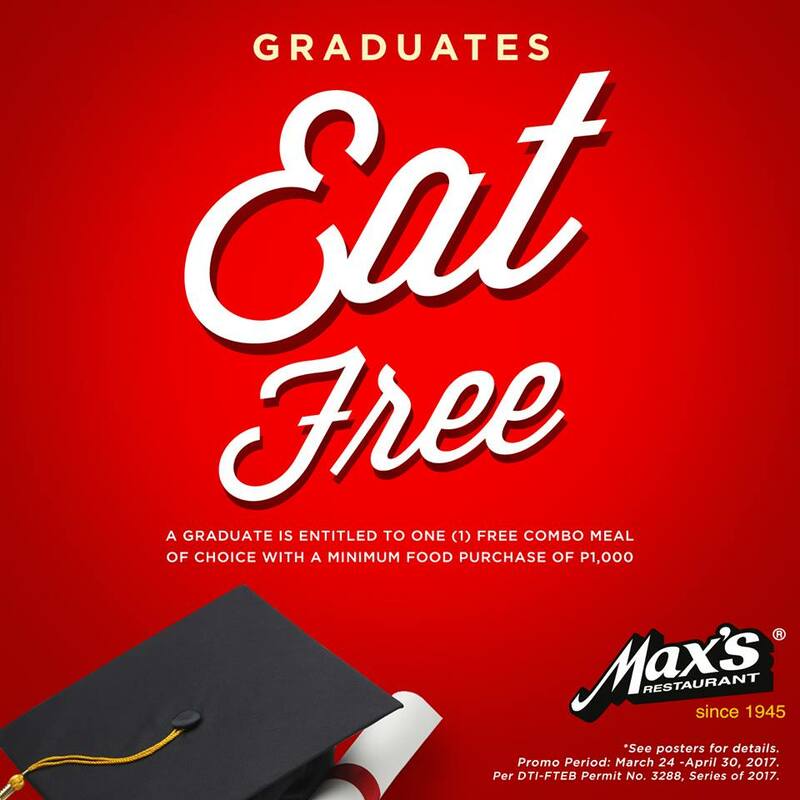 Check out Max's Graduation Promo. A graduate is entitled to one (1) FREE combo meal of choice with minimum food purchase of P1,000! Just present your student ID as proof of your graduation or moving up. This promo runs until April 30, 2017 at participating Max's Restaurants nationwide!